Codes can carry big secrets! Throughout history, lots of good guys and lots of bad guys have used codes to keep their messages under wraps. This fun and flippable nonfiction features stories of hidden treasures, war-time maneuverings, and contemporary hacking as well as explaining the mechanics behind the codes in accessible and kid friendly forms. Sidebars call out activities that invite the reader to try their own hand at cracking and crafting their own secret messages. This is the launch of an exciting new series that invites readers into a STEM topic through compelling historical anecdotes, scientific backup, and DIY projects. 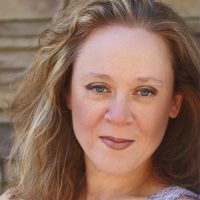 By day, Ella Schwartz works as a cybersecurity warrior, helping to keep the Internet safe. Ella writes fiction and nonfiction books for young readers. CAN YOU CRACK THE CODE? 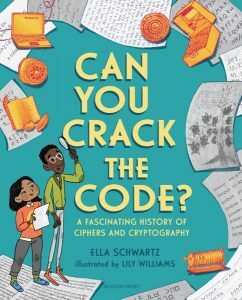 (Bloomsbury, 2019), is the first book in a nonfiction STEM-based middle grade series, exploring concepts in cryptography and internet security. The second book in the series, IS IT OKAY TO PEE IN THE OCEAN? will explore topics in biology and the human impact on the earth’s ecosystem. When she’s not working, writing, or training to run a marathon, Ella volunteers on outreach initiatives to promote women in science and improve science literacy.